This presentation will focus on shoulder injuries in the overhead athlete. The attendees will learn to diagnose, treat, and prescribe rehabilitation exercises. Included will be studies to aid in decision making including when to image, appropriate imaging to order, when to refer including recent studies on surgical outcomes. Last year over 14 million people sought care for shoulder injuries. It is one of the most common injuries in sports. 80 percent of swimmers experience limiting shoulder injuries as well as 68% of college baseball players. This seminar will present evidenced based treatment protocols that have a high rate of success in returning the athlete to competition and will focus on manual medicine techniques. Dr. Dolbin will present diagnostic testing that have a high level on intratester reliability in diagnosing SLAP lesions, Bankhart lesions, Entrapment syndromes, tendonopathies, and rotator cuff pathologies. Treatment will focus on the kinetic chain issues contributing to the aforementioned pathologies. Dr. Jack Dolbin graduated from National College of Chiropractic in Lombard, Ill. in 1977 following an outstanding football career at Wake Forest University and then professionally as a wide receiver with the Denver Broncos. Jack started 67 consecutive games for the Broncos and was their leading receiver in the 1978 Super Bowl. With this extensive sports background, it was a natural for him to open Pottsville Sports and Rehabilitation Center, in Pottsville, PA. where he currently practices. Dr. Dolbin has served as Biomedical Director for Villanova University and team chiropractor for the University of Maryland Gymnastics Team. Dolbin was the event chiropractor for the Pan-American Weight Lifting Competition in 2001. He is also a certified strength and conditioning specialist (NSCA), a certified fitness instructor (NSPA), a certified strength trainer (Nautilus Corp.) and had a guest faculty appointment with the University of Pennsylvania Medical School in 2003. He was inducted into the Pennsylvania Sports Hall of Fame in 1983 and appointed second vice-president at Penn State University from 1997 to the present. Dr. Dolbin is an outstanding educator and an entertaining lecturer, blending scientific knowledge with every-day experience. Doctors who attend his seminars come away enriched with an increased knowledge of athletic injury and greater insight that can immediately be applied and practiced. Dr. Joe Leahy will cover the directions people have been taking on the concussion diagnosis and treatment. The understanding of the nature of mtbi damage has gradually changed, and this has led Dr. Leahy to work for the last 2 years on a viable measurement to assess the amount of damage after mtbi. Cognitive measures have been shown to be less than complete or reliable, especially in the return to play decision. The preliminary study demonstrates a workable diagnosis method which quantifies the damage using a triple analysis method. Treatment has been shown during the study to measurably improve healing, and together with the diagnosis method, give us a scale to use for return to play. Dr. Leahy has been seeing football concussions resolve in a week or less with these tools. Dr. Joe Leahy has worked with Olympic teams from many countries. He has worked with professional teams such as the 49ers, Raiders, Sharks, and players from many teams in many pro sports. Leahy has taught post graduate courses in sports Chiropractic, including writing the curriculum. He teaches Active Release Techniques (ART) in many parts of the world along with his brother Mike, the inventor of the technique. Leahy has been president of the Chiropractic Association for Santa Clara County and started the Chiropractic care for Ironman Triathlons in Kona, Hawaii. He is presently involved in research on the MRI evaluation of the lumbar spine, and in the effects of light therapy on certain conditions such as concussions. This technique is derived from proven stretching and myofascial techniques that are currently in popular use. The difference between this technique and other techniques is that it has combined the efficacy of an active isolated stretch with the concept of pinning and stretching the muscle, so that both techniques’ potentials are utilized. It also introduces a third concept of specifically targeting tight fibers, or aspects of muscle and fascia. It is the precision of this technique that makes it uniquely therapeutic. The technique specifically incorporates a tool, the FAST Rx™, to facilitate application of the treatment. With the FASTRx™ the application of pressure is more predictable and consistent over a variety of users including one’s self. It also allows the user to administer pressure and access structures previously elusive via stretch. It is a technique that can be easily replicated which makes it accurate, effective and easy to apply. It is broken down into steps that make it manageable for the lay person, and easy to recreate the treatment amongst various practitioners. Being easily replicated makes the technique easy to study and organize the results, which makes it a great tool to further the clinical relevance of muscle treatment. In high school, Dr. Rob DeStefano sustained injuries playing football and was treated by a chiropractor who got him back on the field. Experiencing these injuries helped Dr. DeStefano to understand the injuries of others—in fact, in high school and college, he was known for helping his teammates to recognize and address injuries and other issues. Throughout his academic sports career, he excelled in track, football (earning a scholarship to Kutztown University), decathlon, powerlifting, lacrosse, Rugby (earning a scholarship at Palmer College of Chiropractic) and triathlon. To date, he has competed in over 300 races, including 9 Ironmans and 2 Ironman World Championships. From the early 90’s to the present, Dr. DeStefano has lectured and taught at over 100 ART seminars and related teaching and lecturing events. He has assisted in certifying thousands of ART providers. In the world of athletics he has worked with athletes of all levels, including the US Olympic Bobsled/Luge/Skeleton teams, US Olympic Hockey Team, the NHL, NBA, LPGA, and the NFL. In 2002 he became an official ART provider to the New York Football Giants, seeing them through their 2008 Superbowl Championship and continuing at present as the official ART provider and also the official Chiropractor. Attendees will learn how to use different screening tools and decide which tests will be most useful for different conditions. You will learn which exercises help decrease chance of injury based on the findings of these tests. Emphasis will be placed on ankle and knee injuries. 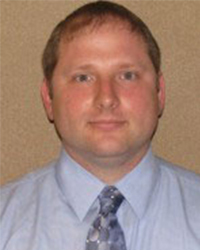 Dr. Andy Klein is certified as a Strength and Conditioning Specialist by the National Strength and Conditioning Association, and is board certified in Chiropractic Sports Medicine by the ACBSP. He was the chiropractor for the US at the Goodwill Games in 1998, and the Sydney Olympic Games in 2000. 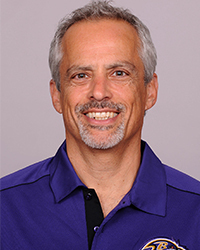 Dr. Klein served as the team chiropractor for the Minnesota Vikings from 2004-2008. He developed the PT3 course, which emphasizes active care, at Northwestern Chiropractic College, and has instructed there since 1995. He teaches postgraduate education for multiple chiropractic colleges. This workshop is designed to help doctors learn the insides and outs of treating young athletes away from their offices. A major part of being successful at it is communication. Communication between the doctor and the “commissioner”, the doctor and the coach, the doctor and the parents, as well as the doctor and the student athlete. 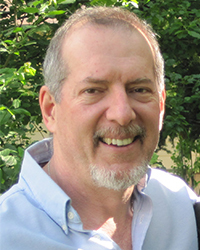 Dr. Alan K. Sokoloff, or “Dr. Sok”, as his patients refer to him, is the past 2 term president of the Maryland Chiropractic Association. 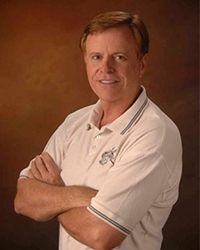 He was selected as Maryland’s Chiropractor of the Year 2001-2 and the American Chiropractic Board of Sports Physician’s Sports Chiropractor of the Year 2006. He holds a post-graduate degree as a Diplomat of the American Chiropractic Board of Sports Physicians. Dr. Sok has been a member of the University of Maryland Sports Medicine Team since 1991, working with the UMBC Retrievers and Maryland Terps. He served a residency at the United States Olympic Training Center, summer of 1997 and was selected to the medical team for the United States at the 1998 Goodwill Games. Dr. Sok was appointed to the USA Olympic Medical Team for the 1999 Pan Am Games in Winnipeg, Canada. He continues to be one of the team chiropractors for Baltimore Ravens of the NFL since 1999, recently winning their second Super Bowl. He is a medical team member for the Bowie Baysox (Orioles AA team), and has worked with the Washington Nationals (MLB) and Baltimore Blast (MISL). 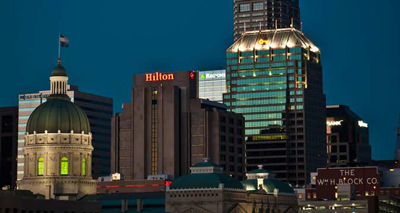 Dr. Sok is a “wellness / injury prevention consultant” for many companies and municipalities. He has also written and helped produce a series of award winning Injury Prevention Videos for the Library Video Network. He recently completed his first in a series of concussion prevention DVDs, Tackling Concussion Head On, starring NFL, college, and high school guests. Concussion or Mild Traumatic Brain Injury is considered by some in field of neurology to be a “silent epidemic”. Although much has been accomplished in the fields of research, diagnosis, education and public awareness there is still a long road ahead of us. The focus of this presentation is to up-date attendees on current research in areas of injury pathophysiology, diagnosis through neuropsychological evaluation, advanced imaging techniques and alternative diagnostic platforms as well as a review of the clinical management of athletes recovering from concussion. 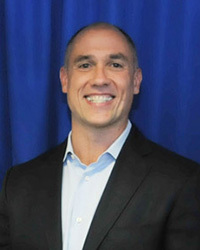 Dr. Michael Gay has been an athletic trainer for 14 years and is a full-time athletic trainer at Pennsylvania State University. In addition to clinical practice Dr. Gay is also a contributing researcher in Penn State’s Center for Concussion Research and Service. As a clinician he gives clinical direction and feedback to project creation and data collection as it pertains to the clinical component of mTBI. Penn State’s Director, Dr. Slobounov, and he have also expanded the depth and breadth of modalities used to diagnose/evaluate subjects recovering from sports related concussion or mTBI. This multi-modal approach is critical in evaluating sub-clinical abnormalities and providing data points towards a comprehensive approach in the treatment of mTBI. Dr. Gay’s recent research and publications have focused on diagnostic platforms for the assessment of concussion as well as treatment approaches for athletes recovering from concussion. He received his Bachelor of Science degree at the University of Maine, and his Master of Science and Doctorate degree in Kinesiology from Pennsylvania State University in 2001 and 2013 respectively. The way football players fuel, hydrate, recover and supplement can play a direct role in how they feel both on and off the field. For many athletes, coaches, and sports/medical professionals, nutrition is still viewed mainly as a means to optimize body composition. Players are sent to the nutritionist/dietitian when they have a medical condition, need to cut weight or need to put on muscle mass. Although nutrition plays a critical role in each of these scenarios, a solid performance fueling strategy can mean the difference between a good and a great performance. This workshop will leverage research and practical application to help you evolve the conversation from healthy eating to performance fueling and give the athletes’ you work with a performance edge. 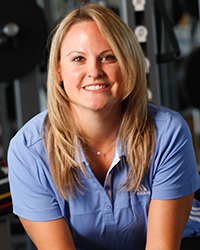 Amanda Carlson-Phillips is the VP of Nutrition and Research for Athletes’ Performance and Core Performance. She is a registered dietitian who earned a master’s degrees in both sports nutrition and exercise physiology from Florida State University. Carlson-Phillips works directly with the Athletes’ Performance and Core Performance nutrition teams to help create year-long systems of success for all athletes and clients. She also coordinates the company’s performance research, undertaking both case studies and peer-reviewed research.